In all the years since AIX-PHILA's foundation in 1987, numerous contacts to intermediaries, club officials and fellow traders have developed, more than a few of which have grown into friendships. 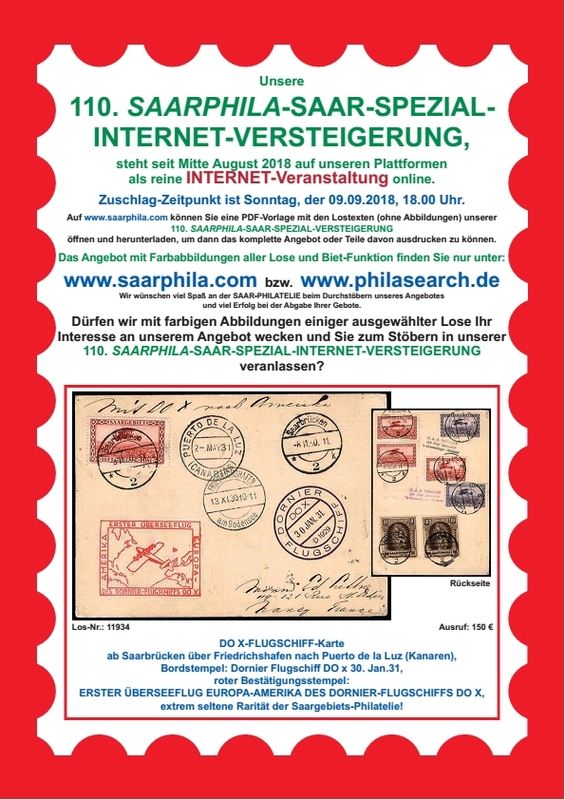 I would particularly like to mention my relationship with Hans-Jürgen Steffen of SAARPHILA here. 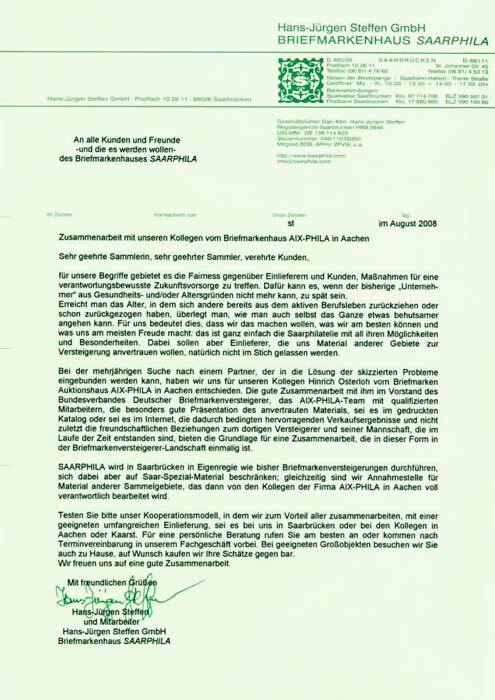 Our work together on the board of the Association of German Stamp Auctioneers resulted in mutual appreciation which has developed into a true friendship. 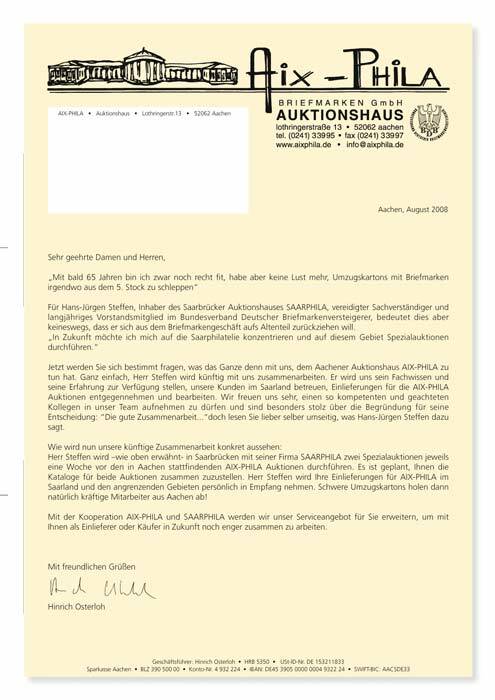 This finally led to a decision in 2008 to link the work of our companies to the effect that the "Saar" field of collection is managed by H.-J- Steffen in Saarbrücken while the complete range of philately and numismatics is auctioned in Aachen. At this point, several years later, our conclusion is: That was an excellent idea!